Curl the day away with nume's lustrum clipless curling set. Made with a 100% tourmaline-infused, ceramic coated barrels for lasting style and penetrating negative ion infusion, this set was made for the beauty guru at home. 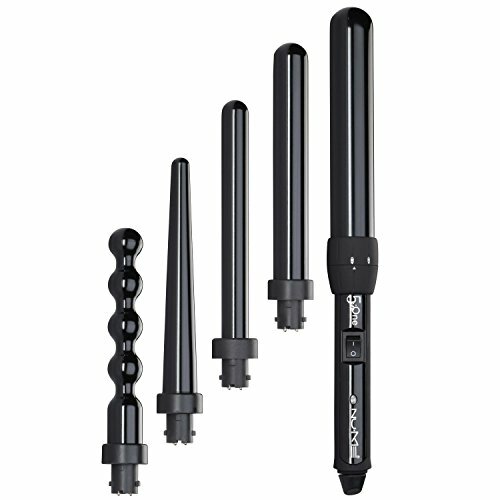 This set includes five interchangeable wands for maximum curl performance. Nume strives to create innovative products that inspire women to feel more confident in themselves. Recognized as one of the world's most innovative hair and beauty brands, nume brings you salon grade products straight to your home at amazing prices and product performance. If you have any questions about this product by NuMe, contact us by completing and submitting the form below. If you are looking for a specif part number, please include it with your message.